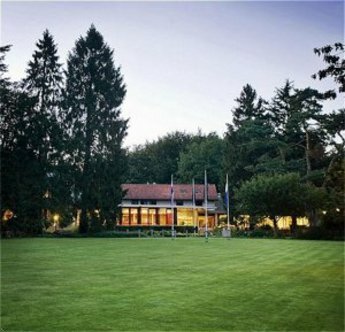 Bilderberg Hotel 't Speulderbos is in a tranquil setting, surrounded by beautiful, towering shade trees. There is much to see and do for visitors including the Royal Palace Het Loo. A delightful restaurant and a bar are located on the premises. There is also a Grand Cafe where snacks and tapas are being served. For business, 't Speulderbos offers meeting rooms for groups of 10 to 250 guests. The hotel offers a friendly atmosphere and many facilities for children. All of the guest rooms are comfortable and nicely equipped to give a feeling of being home while away from home. The hotel also has a variety of facilities and services that are sure to meet the need of both business and leisure travellers.